Life (48 hrs) w/ the Free Style Libre! I still cannot believe I took the PLUNGE! Four years with Type 1 Diabetes and I have been perfectly content with my routine: traditional multiple daily injections, and my poke + metered glucose system. No CGM, no pump, no problem. While I am naturally resistant to (ALL) change, I have consistently observed fellow type 1 diabetics confess their unfailing love for their device and found myself intrigued. "Maybe one day, but I am perfectly content with my routine. As the saying goes, why fix something if it isn’t broke?" But the Freestyle Libre continued to intrigue me because it's slim & discrete. It seemed helpful, less invasive, and less intense then its cousin—Dexcom. When it comes to any choice in my life, I typically attempt as much research & debate as possible before making my final decision. So after 6 months of debating, 3 weeks at CVS, and another 2 weeks in my closet here I am with my newest friend: The Freestyle Libre. Initially it comes across more confusing then it is. I think this goes for anything foreign and new to us though, right? Even looking at the box seemed daunting to me. Once you get things opened and read the (simple) step by step guide, you will be connected and on your Libre way in about 4 minutes (this includes my sweating, overthinking, shaking, and breathing sessions). Pain was my biggest worry. The idea of a sensor (with a needle) shooting into my arm seemed painful. But it wasn’t, I didn’t feel a thing! It’s such a treat to give my fingers a break. 4 years of poking my fingers 8-12 times a day has been exhausting and painful. Reaching into my purse to grab the reader and scanning my arm is refreshing and a bit mind blowing (yay technology). Sometimes I’ll check my blood sugar 5-6 times in a row—just because I can! In regards to better blood sugar awareness, I feel it’s helping. These past few years I have worked really hard to listen to my body and stick to a solid routine of clean (low-ish carb) eating which has kept my blood sugars (not perfect) pretty balanced and happy. This discipline (along with logging trends) has been imperative in my blood sugar management and understanding how exercise, food, stress, hormones, etc. have an effect on my blood sugar levels. If I had a meter earlier in my diagnosis, I worry I may have used it as a crutch. One really cool thing about the Freestyle Libre is how it shows if you are trending up, down, or steady. For the most part, I can feel this or problem solve my last dose + meal + activity and adjust accordingly, but it’s been lovely to have the extra support and clarity. It takes 12 hours to “warm up” post insertion—oh the anticipation! I suggest you do it towards the evening so you can wake up and begin your new adventure first thing. I trended high the first day post insertion. I directly link this to minor inflammation and it being an “addition” to my body. While it’s tiny, you would be surprised how sensitive and reactive our bodies can be to the slightest change. The Libre is considered a "flash glucose monitor" as in you have to ASK for the information versus it constantly feeding data to your device like the continuous glucose monitor (Dexcom). You scan/swipe the reader to the sensor for your reading. The Libre measures interstitial fluid, which has a delay for -+15 minutes from the blood measurement. Example: It can say you are LOW, but you just corrected for the low. If you know your body & keep this factor in mind, this isn’t an issue but can be confusing and stressful for some. The sensor automatically stops working after 10 days. I wish it lasted longer as I am a bit nervous to take it off and re-apply in the same region. I assume with time this can be painful as scar tissue builds up but I’ll keep you posted! Overall, I am pleasantly surprised and really looking forward to having this sensor for my big trip to Asia next week! Less finger pokes and less digging around for my strips + meter + lancet, will allow me to be more present and free amidst my adventuring through Japan & Thailand. Change can be scary and I resist it more then I'd like to admit. Whether it's small or big, seek out and step into something that intrigues your soul! Maybe it's your diet, a new workout, or.... a blood sugar sensor--I encourage you to try it! What's stopping you from a new page in your story? Questions or concerns? Ask away! Tempeh is a new adventure for me this past week and I am LOVING it! Truthfully (like most of us) I can get a bit tired of using the same protein sources so mixing in this amazingly fiber rich, low carb protein source has got me extra HAPPY. The dangers of soy are overstated and the benefits may be too. don't eat high amounts of soy products. moderation (as with everything) is KEY. eat fermented, high quality, organic only. be mindful of soy sensitivities which could stress and negatively impact the gut. Heat olive oil in pan over medium heat. Thinly slice your tempeh into 1/2 inch - 1 inch pieces and place in pan to lightly crisp for (about) 8-10 minutes on each side. **Season w/ sea salt, garlic powder and a few drizzles of coconut aminos. Add greens + veggies (avocado, shredded carrots, green onion, sauerkraut, etc.) to large bowl. Drizzle greens + veggies with olive oil, lemon, sea salt & massage well. Add your cooked tempeh + hemp seeds to your bowl. Mix ingredients (mash the avocado around so it evenly covers the greens) & ENJOY! To soy or not-to-soy....what are your personal thoughts on this topic? When living with a non-insulin producing (i.e. broken) pancreas, caution is brought into almost every “no caution needed,” average situation. Going for a light jog? Running into Trader Joe’s for your favorite snack? Ordering your favorite smoothie?--these seem like random, simple, mindless activities. . . but the reality is that simple jog or healthy smoothie could make waves in your entire day. With type 1 diabetes you must always be “on” and aware of your ever-changing (sometimes dangerous) blood sugar levels. It throws a wrench in almost every ordinary situation and can often leave you feeling hindered and limited in trying things “normal” people try. I mean, I know diabetics are supposed to avoid juices, but they are good for you! And if I give myself enough insulin (figuring this out would be hard I think) it should be fine right? Juices are very low in fiber, high in sugar. The sugar they contain is quickly absorbed and thus causes a quick blood glucose rise (this is why juice is one of the fast carbs recommended to treat a low BG). Insulin, although we have "rapid acting" insulin, does not work that quickly. You would be at increased risk for BG spikes/elevations related to the juice consumption, and then also at increased risk of low sugars since the insulin action does not match the juice digestion/absorption very well. As you can see, not what you're looking for. I was sad, but understood her response. I accepted my fate and was left day dreaming of this “juicing” adventure everyone was on and loving. I knew I didn’t need a juice cleanse to feel my best, but I was still wanting to give it a try and felt frustrated that this new, life-long disease was already limiting me. Before I dive into the gist of my cleansing experience, remember this: if you have type 1 diabetes, you are still required to diligently and mindfully take care of yourself amidst your cleansing process. Any extreme changes in diet will likely result in changes in your insulin (bolus + basal) dosing amount(s). I encourage you to keep a journal, take notes, and log your process. This will help you with mastering your dosing and timing throughout the cleanse (and support you in the future if you choose to do it again). The biggest pro of the cleanse system that I use, Chef V, is that their juice (i.e. Green Drink) is BLENDED (keeping the fiber) versus JUICED (strips the fiber). This is a huge factor in blood sugar management. Their cleanse contains only 24 grams of sugar per day, versus a standard cold-press juice cleanse contains OVER 180 grams of sugar per day. Pretty crazy huh? While cold press juicing has many nutritional benefits—especially if you have an overly sensitive digestive system/ illness that inhibits your body from processing fiber—removing the fiber wreaks havoc to blood sugar levels. Stripping the fiber causes the juice to be absorbed into your blood stream very quickly which consequently = increased variability in your blood sugars. **Unstable blood sugar levels can lead to mood swings, energy loss, and extra stress when managing your diabetes. 16 oz - 48 oz of water between each (greens and shake) interval. What were the most noticeable benefits of cleansing? Clearer skin. Zero bloat. Minimized (practically vanished) cravings. I didn’t weight myself but I fit back into a work blazer that I used to have on my “one day” pile. Increased insulin sensitivity (basal was reduced by 2 units). And finally, I love the fact that I felt (mostly) full and nourished the entire time. I didn’t feel too restricted and learned that I am such an emotional eater. It was nice to have a set time for the greens, shakes, and soup. I was focused on my day versus getting distracted by mindless and emotional snacking. What are the cons of cleansing? First & foremost, you are detoxing and purging build-up and toxins in your body. Because of this, the reality is you may experience some side effects. My first cleanse go-round was the roughest (I have done it 3 times). Day 2 I was nauseous, and had a super bad head ache. I ended up having some plain turkey at lunch time to help offset how I was feeling. I skipped on the shakes and greens for the rest of the day (the idea of them made me sick), and drink tons of water and tea. Day 3 I was feeling myself and finished out my cleanse strong! If you are type 1 diabetic, another con is problem solving your dosing--especially the soup. Since it’s liquid + high carb, you must be super mindful of your bolus timing. I encountered a few highs on the soups simply because I didn’t wait long enough for my bolus to kick in to meet the soups absorption rate. Personal tip: waiting 20-35 minutes before enjoying the soup! Depending on your starting number of course. What does everything taste like? The green drink is fresh and light with a slight gritty texture since it’s blended versus juiced. If you are used to your smoothie/juices containing tons of fruit…you could find it too earthy—just give your tastebuds time to adapt! It has a slight touch of apple which adds a perfect, subtle sweetness. The protein shakes are yummy but.... so SWEET! I prefer the chocolate over cinnamon. Maybe because I was so nauseas on the first cleanse, or maybe it’s just too sweet for my preference but I 100% prefer the chocolate because it's more balanced. Sometimes I'll add a little more raw cocoa powder to offset the sweetness intensity. The soups are such a comfort at the end of your day. They do not contain any salt so the flavors (sweet potato or carrot) really come through. You appreciate them and they are a simple, but (semi) filling way to end your day(s)! What are the benefits of cleansing? This question can be a post in itself because this topic is so vast and layered. Simply put, our body deals with a lot! Toxins build up, gut flora becomes imbalanced, cells become stressed, and our immune system’s get inflamed. These imbalances effect our mood, digestion, skin, weight, and insulin response. Cleansing is a great way to dedicate a set time to re-nourish and give back to our mind & body. While it requires a dedicated mindset, it’s worth it and DOABLE! Should I do the 3 day, 7 day, or 21 day cleanse? This is personal preference and based on your individual goals. I have only done/have experience with the 3 day cleanse. I could see doing the 7 day...the 21 day seems too intense for me personally. For more details on the 3 day cleanse you can adventure HERE! Stay tuned for Part II—How to dose when cleansing! p.s. This is not a sponsored post. Just spreading the good news + my positive cleansing experience with you! There are countless cleanses out there to choose from; this is just my personal experience with the one that I have tried and loved. I consider myself a Jesus follower, lover, and seeker.... not religious. This parallels my relationship and views on food. I am aware that the more "food religious" I am-- the pressure to always be better & seeing certain foods as "bad" versus "good," can lead to burn out, emotional eating, and self sabotage. Food is more than rules and restrictions. It's created to nourish, uplift, fuel our mind and bodies to live not just well, but to THRIVE at our best. Are there foods that serve our body less, interfere with our goals, and mess up our blood sugars? BUT when our mind is flooded and foggy in this state of extreme paranoia, where it robs the beauty of free will, trial and error, and truly living.... we miss the point. Everyone is blessed with this unique and intricately beautiful power-house that uses and requires different types of fuel for THEM to be at their best & healthiest. While there is no one size fits all, I believe the foundation of our eating should be the same: focusing on clean, real, whole foods. I assure you that there is no "perfect diet." Whichever diet you choose for yourself: vegan, keto, paleo, low carb, high carb, all fruit, no fruit, etc. is totally your own personal journey and unique experience. I think our biggest responsibility isn't to just keep jumping on the next band wagon of the "best" diet, but truly educate ourselves and understand which foods do what for us and listen to your body and watch how it responds day by day. Struggling with bloat? Google top bloat-causing foods. Always craving sugar? Google which foods to avoid to stop the cycle. Do you keep finding yourself in these bad cycles or habits? Seek counsel and support. Accountability and direction is crucial when it comes to improving ourselves and our natural resistance to change. There is so much overwhelming information out there! When we learn that the best diet is no diet, that's when your true (healthy) relationship with food begins. Are you feeling that the good that comes from working out is often watered down by an undesired, exhaustive blood sugar reading? Working out with type 1 diabetes can be discouraging. Despite my love affair for staying fit & active, there are some days diabetes makes its (uninvited) presence loud and clear in the most inconvenient ways. A mid-workout low or post workout high are both frustrating scenarios you can find yourself stuck in. Working out fasted (no food), removes the stress of excess active insulin from your day of eating. I used to workout after work (around 6pm-7pm), and I would always have to be super cautious of my dosing’s earlier in the day. I could never be fully present in the class because the risk of a low was always weighing heavily on my mind. If my dose(s) from earlier in the day weren’t perfectly calculated, my workout would be effected by a low—guaranteed. No food = minimal active insulin to sabotage your workout! Dawn Phenomena—Morning hormone surge causes you to be more insulin resistant and have higher blood sugars. Liver Dump—My workout (Crossfit) consists of strength training & HIIT, i.e. anaerobic exercise. Aerobic exercise typically causes your blood sugars to fall, while anaerobic causes a spike due to your liver dumping glucose. Aerobic exercise examples: walking your dog, cardio machines, spinning, running, swimming, hiking, aerobics classes, dancing, etc. Aerobic exercises can become anaerobic exercises if performed at a level of intensity that is too high but these exercises typically don't require insulin, and tend to lower blood sugars. Anaerobic exercise examples: HIIT, sprinting, weight training, interval training, etc. During intense exercise periods your body breaks down glycogen (stored glucose) with the expected rise in blood glucose levels. These style of workouts raise the blood sugars and require insulin (increased basal%, increased bolus). Consistency is KEY when it comes to managing your blood sugars. Just like changing your food selection too much on the daily, frequently changing when you workout and the type of workouts you do will leave you feeling frustrated. “Consistent action creates consistent results.” …..for the most part :) Type 1 diabetes has its own agenda sometimes (despite all intentional, disciplined effort). This doesn’t mean you can’t try new things. It just means, find something that works for you, and stick with it 80% of the time to increase your peace and see balanced, controlled trends in your blood sugars. The best way to see trends in your blood sugars is to log—keep a small journal just for your blood sugars. Hormones, stress, certain foods, life events, etc. each play a role in your blood sugars. Sneaky culprits can be brought into the light a lot easier when we have some data to look back onto. Example: I have found that leading up to my cycle, like a week before, I am super resistant to my bolus in the morning. My typical 2 units do not cover my workout, and I trend in the 200’s. I am still fine tuning this (adjusting basal, increasing bolus), to figure out the best solution, but logging and taking notes has helped so much in this process. Who knew so much evaluating, calculating, & stress went into working out? Some days when I am in a workout class I look around and feel a little envious towards those who have one thing on their mind: the workout! With that said, I have come a long way with always fearing and correcting lows. Now, I am mainly learning and understanding how to master the random highs (pesky hormones). If working out is something you don’t do, I encourage you to start! Your blood sugars will improve. Your insulin resistance will decrease. ….the list goes on & on! Working out has been my saving grace for my mental and physical health and I could not imagine not starting my day with it. In summary, don’t let this disease limit you from things that nourish and serve your body. --If you feel fearful incorporating workouts, start with a morning walk or light jog. Working out fasted will decrease yours fear and allow you focus on the benefits versus the risks. --If you keep spiking from a workout, you are likely performing an anaerobic exercise and your body is breaking down glycogen stored in your liver. Increasing basal and/or bolus will support in counteracting this rise in blood sugars. Log, stay consistent, & try to workout fasted so you can focus on the spike (versus low) and discover a dosing adjustment that works for you. --If going low during your workouts is a frequent occurrence, there could be a few factors at play, but the main one is likely having too much (insulin) bolus on board. Stick with lower carb (or fast) pre-workout. The beauty of working out first thing in the AM is that your body is primed to burn fat for fuel instead of glucose; this GREATLY decreases your risk of a low. Seek guidance from your endocrinologist or diabetic counselor to support you with your personal dosing needs & requirements. If you want happier blood sugars, mastering your basal dose is VITAL. Your last low blood sugar could be a response to an incorrect bolus dose, OR an incorrect (too much) basal dose. Your last high blood sugar could be a response to the food you ate, OR an incorrect (too little) basal dose. When was the last time you checked to see if your basal dose was set correctly? This is a really important question because your basal dose lays the foundation to your entire insulin program! If it's off, your blood sugar numbers will be off as well. Have you been frequently correcting highs and lows? If so, fine-tuning and checking up on your basal dose may be in order! The only true way to determine whether your basal settings are working properly is to perform fasting tests. So what does this mean for YOU and what steps can you take to see if your basal insulin is correct? Let's say tomorrow you wake up at 7AM and your blood sugar reads: 150mg. Fast until 12PM (you can do it I promise). You can have water, or my personal favorite--la croix. Check your blood sugars consistently, watching your numbers closely--every hour or two (or more if need be). **The test should be stopped if the blood glucose rises super too high or drops too low (because corrections will obviously be in order and the basal test will need to be continued a different day). As long as your blood sugars stay in reasonable range, the test should continue. How much movement have you seen? Take notes. Your goal is to have a blood sugar variance (movement) less than 30 mg/dl (1.7 mmol/l). IE: If you started at 150mg, the goal is to end your fast between 120mg-180mg. Gary states that this minimal variance in blood sugars reveals your basal setting is likely correct! Otherwise, changes are probably in order. For more details (and other factors to keep in mind) I would encourage you to read more HERE! Have you tried fasting to fine tune your basal dose? The information provided is intended for your general knowledge and support only and is not a substitute for professional medical advice or treatment for specific medical conditions. You should not use this information to diagnose or treat a health problem or disease without consulting with a qualified healthcare provider. Please consult your healthcare provider with any questions or concerns you may have regarding your condition. Meet your newest fridge staple: Coconut Almond Milk (free of: dairy, excess sugar, & unnecessary additives). When striving towards healthy living and choosing foods that SERVE your body, I have found that it's SUPER important to have yummy things to look forward to. If you don't....it's so easy to revert back to bad habits/foods that you shouldn't be filling your body with. If you enjoy dairy or a touch of cream in your tea or coffee, having this prepped and ready is a wonderful treat and delicious milk substitute! It's also a great base for your AM smoothie/protein shake. Why substitute milk/dairy you may ask? Dairy is one of the most inflammatory foods in our modern diet, second only to gluten. It causes inflammation in a large percentage of the population, resulting in digestive issues (IE: stressed GUT). It’s often full of hormones and antibiotics--both in which stress the gut and increase inflammation within the body. Most disease and autoimmunity is caused from our bodies being in a stressed/inflammatory state. While dairy isn't likely the MAIN culprit in your diet, it's the accumulation of various foods that can keep your body in a constant inflammatory state. Removing "trigger" foods is the first step to healing your gut and cooling inflammation within your body. 6-8 cups of water (depending on level of creaminess you desire). 1. Soak your coconut, almonds, dates, and vanilla bean in bowl full of water over night. 2. Drain out the water (leaving your soaked ingredients behind). 3. Add your soaked ingredients, pink salt, cinnamon and water to blender. 4. Blend for 2-3 minutes. 5. Strain with cheese cloth (or thin tee-shirt). 6. Save almond/coconut pulp for other yummy recipes! 7. Pour milk in container & keep chilled in fridge. Going to extremes Part II: Dealing with high blood sugars. When we first think of high blood sugars, our mind instantly thinks of that post-meal spike. That moment you that thought you calculated just right........ but then 2 hours later your meter magically reveals: 251 [insert indifferent face here]. Apart from the obvious calculating (and miscalculating), are you aware of the two HUGE things working against us? You and your friend just ordered some delicious cupcake’s from your favorite bakery. You both sit down. She instantly bites into her gooey red velvet cupcake, and you guesstimate the 51 carbs, dose, and then indulge in your peanut butter chocolate cupcake. Her body immediately releases insulin & amylin—both helping to keep blood sugars stable and minimize any spike. As a Type 1 diabetic, you have neither of these hormones. You are 100% dependent on your insulin dose and the perfect timing of when to dose -- It can take 15 minutes to start working, 60-90 minutes to peak, and 3-5 hours to finish working. While insulin is the obvious (major) hormone we lack as Type 1’s, amylin may be something you are unaware of. In reality, we can (and clearly do) live without amylin, but not having amylin is a huge factor on why our levels rise so quickly post-meal and why it’s extra important to take our doses at least 10 to 15 minutes before. “At the base of the pancreas is a cluster of cells called the islets of Langerhans and contained within those cells are the cells that constantly measure blood glucose levels and produce insulin as needed to keep blood sugar within a normal range. Along with insulin, beta cells secrete amylin, a hormone that, among other things, regulates the rate at which food digests.” (Gary Sheiner). —Amylin’s primary purpose is to prevent blood sugar levels from spiking too high after a meal. —It decreases appetite by promoting a feeling of fullness, thereby reducing your food intake! Personally, I feel like it takes SUPER long for me to actually feel full/satisfied when eating sometimes so this totally makes sense. Do you feel the same? While it’s very frustrating not to have BOTH of these hormones most other’s have, we learn to adapt and dose accordingly. So, why are extreme high blood sugars a problem? Physical and Athletic abilities become diminished. Spike Control—Strategies to reduce the spike. Timing—boluses given too late to match the entry of the sugars into the bloodstream will lead to hyperglycemia. Wait about 15-20 minutes before eating. Bolus for the Basal—Reduce your basal to have more insulin working right after eating and less working several hours later. Injectable Hormones—Symlin mimics amylin by blunting the post meal spike and reducing appetite. Lower GI— Glycemic index refers to the speed in which food raises the blood sugar level. The lower the GI, the less likely you will spike! Add some acidity— Acidity directly affects the rate of digestion (slows it down). “Research has shown that adding acidity in the form of vinegar can reduce one-hour post meal blood sugar rise by as much as 50%!” That’s crazy. Split your Meal—Have a bit now, have a bit a few hours later. Get moving— Avoid sitting for extending periods of time after eating. Go for a walk, do some chores. Try to schedule your active tasks for after meals! The other extreme: Ketoacidosis (lack of working insulin). Ketoacidosis is a serious condition that will make you violently ill and can kill you. Fully understanding the steps needed to address DKA is vital. If ketones are present, refer to page 246-249 in the book or visit HERE for helpful steps. Illness/Infection—trigger stress hormones making you more insulin resistant. Dehydration—increase water intake when blood sugars are running high. Lack of carbohydrates—extreme fasting or restricted carb intake. Spoiled Insulin—exposing insulin to extreme heat or frozen insulin breaks down the molecules making them ineffective. Poor Absorption—rotate sites to avoid breakdown or inflammation of fat tissue. If you have unexplained, high blood sugars, checking for ketones may be needed. Practicing preventative care, seeking out helpful information, and growing your knowledge in diabetes management is so so important—especially when it comes to getting better control of your blood sugars and living a healthier, happier life! Sometimes your protein shake needs a face lift. Something that hits the spot when your craving chocolate, crunchy GOODNESS...like an Oreo. I think this is that something. Okay, maybe not an Oreo, but it for sure satisfies the craving so you don't eat 1 or...10. Amidst trying to eat clean and keeping our hands off the cookies, there are days your bod just CRAVES a sweet treat. Mixing it up is VITAL when trying to stick to a solid regimen because if you don't, you'll burn out and get off track. Whether its your breakfast, or the healthier alternative to a sweet treat, this shake is full of protein, healthy (satisfying) fats, and hits that chocolate spot with a little bit of added crunch from fresh coffee grains! I.e. taste and texture bliss. What's your favorite protein shake add in? Your new favorite chili recipe has arrived. It's FULL of taste and hits the spot just like any traditional chili recipe. The fresh pumpkin paired with the smokey cumin makes your taste buds leap for joy. It truly makes a perfect, balanced dinner and makes lovely left-overs for your hectic work week. Your standard, traditional chili is typically full of ingredients (cayenne, chili powder, beans, tomatoes, tomato sauce, sometimes dairy) that trigger and aggravate gut issues. The focus of this recipe is to add in ingredients that nourish your body, without the increased response/inflammation that your grandma's chilli has. You get the YUM, without the sad and irritated TUM. While I am not 24/7 AIP, I have done the 5 week reset and have felt a huge difference in how happier my gut was/is! Now, I mostly limit certain foods that I know I tend to react to (example: eggs, caffeine, nuts, tomatoes, eggplant) and focus on foods and ingredients that keep my gut in a better "cooled" state. The goal and purpose behind AIP is to decrease inflammation and immune system stimulation. Cumin, is one ingredient that is a "proceed with caution" non-AIP ingredient so technically this recipe isn't 100% AIP. A mix of turmeric, cinnamon, garlic powder is the perfect substitute for the cumin. Check out this easy blend here. ***When I was being super strict AIP, I used this blend instead of the cumin. I hope you enjoy this delicious chili and experience first hand that limiting nightshades, and most of the traditional spices is totally doable without feeling doomed of taste and satisfaction! Heat your oil in the bottom of a oversized pot. Add the mashed garlic & cook for a few minutes, stirring. Add your leeks, stir and cook for 2 minutes. Scoot the garlic and leeks to the side & add your diced sweet potato and cook for 5 minutes (you may need to add a little more oil), or until lightly browned. Turn heat up a bit (medium/high), scoot veggies to the side; add your protein and sea salt to taste. Let cook uncovered for 3-4 minutes to sear/brown the meat. Turn heat down (low/medium) and thoroughly mix veggies and meat together. Cover for about 15 minutes for the meat to cook through. Add your pumpkin and maple syrup, stir to combine. Taste your chili. Add more sea salt, cumin, or even a bit more syrup based on your desired taste. Mix in your kale, and let cook for 2-3 minutes over low heat. Serve and top with fresh green onion. EASY Dairy Free/ Nut Free Mint Pesto! Having this homemade fresh pesto prepped in your fridge will be your new favorite thing! I love it because it adds so much happy to the simplest (boring) of recipes. Because let's be honest, eating clean can lead to a "I'm so over this" mindset if you aren't creative and putting in the effort. 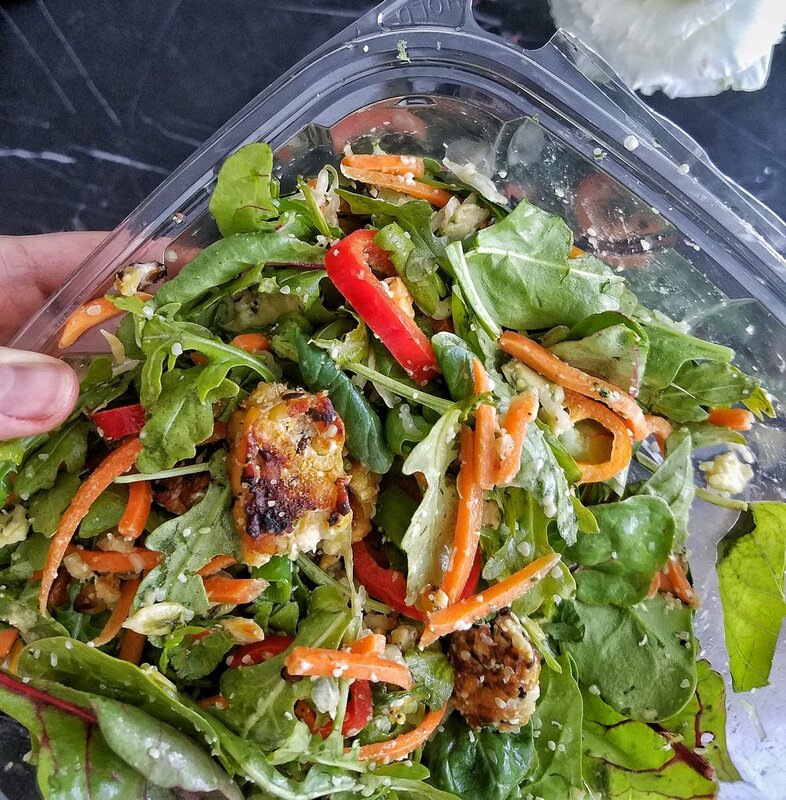 While yes, it takes a little effort (like....93 seconds for this recipe to be exact), I promise you can make clean eating super exciting, yummy and most importantly... satisfying! Whether it's drizzling this on your leafy greens & veggies, or making your eggs, turkey burgers, or chicken much more zesty.... check out the below ingredients and steps to your personal batch of Dairy Free & Nut Free Mint Pesto. ***Side note: The downfall of pre-made grocery store brands is that they all (or most) contain... DAIRY, NUTS, & INFLAMMATORY OILS. Not to mention a few other ingredients that aren't really that necessary to get a delicious tasting pesto sauce. ***Remember, you are the recipe MASTER, not me. Add more mint, basil, garlic, oil to taste if you prefer a different balance in flavors. Example: if you want the sauce less thick, add more oil. 2. Drizzle on top, dip, or use in a sauté! I vividly remember THIRST being the biggest symptom leading up to my diagnosis. I craved anything and everything cold and refreshing. Ice cream, orange juice, almond milk, & GO-GURT'S were my go-to’s. I remember one night getting up at 2AM and chugging an entire carton of orange juice—it tasted so HEAVENLY! "How does everything taste so good? Almond milk is good, but it’s not that good." If you aren’t keeping hydrated throughout the day, your blood sugars will range higher and if your blood sugars are ranging high, it will naturally dehydrate your body. When your blood is saturated with glucose (sugar) your body requires more fluids to balance out the concentration and to flush out the excess glucose. When your sugars have been consistently high, symptoms of dehydration like thirst, fatigue, blurred vision and headache tend to be the norm. This is a simple, yet crucial discipline to greatly improve your blood sugars and how you feel after a “higher” day. What’s the biggest trigger in a blood sugar spike? Simple carbohydrates! Simple carbs are the biggest no-no when it comes to normalizing your blood sugars and recovering from hyperglycemia. Cereal, white bread, soda, juice, cookies, etc. They are empty calories, low in fiber, and have a high glycemic index. Complex carbs are much better for you. They are typically minimally processed and contain nutrients and fiber that will spike much much you less. Sweet potato, oatmeal, quinoa, brown rice, nuts, vegetables, etc. If I have a day of pesky high blood sugars I typically just focus on leafy greens, veggies, and protein. They will not cause a spike and require minimal insulin. Remember: the less insulin needed to cover your meal, the less likelihood of high blood sugars. INCREASE ANTI-INFLAMMATORY FOODS AND SUPPLEMENTS. Having an auto-immune disease means that our body is in a stressed state and higher than normal blood glucose levels cause inflammation. They even say: “unchecked and persistent low grade inflammation may destroy, insulin producing beta-cells in pancreas”…ahem type 1 diabetes…ahem. This is also the cause for many other disease(s). While we don’t know the cause of why we have this chronic disease, we do know our body was under stress and stress = inflammation! The more inflammation we have occurring within our body (which is for sure triggered by high blood sugars), we must be mindful of our food choices and supplements to support and love our bodies more! Green leafy veggies (kale, chard, spinach, basil, arugula). How do you recover from high blood sugars? I love this pizza because not only is it gluten free, but its gooey AND crispy--just how I love pizza. It's all about that texture balance! While I strive for AIP 80% of my diet. Two things I am pretty rigid about are: dairy and gluten. I.e. wheat is not the same as what your great great grandmother used to serve at the dinner table. Today's version is extremely processed, inflammatory, and addictive. "Grains, a food group that we didn’t eat for 97% of our human existence, are now at the base of the USDA food pyramid with 6-11 servings a day recommended." Sprinkle of pysillum husk--not necessary but I feel it adds a little more chew to the crust! First, mix all the crust ingredients together until smooth. Heat red sauce in separate pan and keep it on low until you are ready to prep your pizza. Heat a 9.5 inch (nonstick) pan over medium heat and pour batter. Once the batter fluffs up and looks firm/mostly cooked, flip it over to cook the other side (This takes more time than you think, I say way about 6-7 minutes but it could be longer based on your stove top). You want each side lightly browned and crisp! Remove pizza crust and set to the side. Heat a pan for your toppings. Use ghee or coconut oil and sauté until lightly browned. Create your pizza by adding red sauce, veggies, & prosciutto to your YUMMY crust. TIPS: If you are not using a non-stick pan, you will need to use some sort of oil/ghee/fat to keep the batter from sticking. Also, mix coconut milk well before using this will affect the outcome of your crust. YESTERDAY'S DOSING AFFECTS TODAY'S WORKOUT. Working out mixed with being your own personal pancreas 24/7 breeds (exhaustive) highs, and (scary, anxiety-filled) lows. It also brings a lot of trial and error and a lot of effort that leaves you wanting to skip that next workout all together. When I was first diagnosed with Type 1 (almost 4 years ago now), working out was my ESCAPE (it still is). I had no idea how to tackle this disease, but I knew I wanted to ensure my body was at its healthiest. Five, sometimes six days a week I would show up and give it my all. And while working out all the time is great, it comes with variable blood sugars . . . all the time. Crossfit, yoga, spin, barre, running, walking, & HIIT each affect the body and your blood sugars in different ways. While the type of workouts you do foster different blood sugar outcomes, your insulin dosing lays the foundation of your blood sugar levels. Many people ask how I have good control over my blood sugars, and my answer is always the same: I fail, then I learn and adjust accordingly. Thursday’s are cheat days and Friday’s are often my Crossfit days. What does this cheat day look like you may ask? On my normal (super clean, lower carb, low glycemic) days I generally consume an average of 50 grams of carbs per day; on cheat day’s I can easily triple this. To start, if I have an Acai Bowl, this in itself contains an entire day of carbs for me! This translates to more insulin needed to cover a meal. While eating more carbs isn’t necessarily a bad thing, it does make it much more difficult to keep your blood sugars happy. The more insulin you need (bolus) to cover a meal, the increased likelihood of variability. Think of driving on the road late at night— let’s say 1AM. There are minimal cars on the road which result in minimal likelihood of an accident. Now, take a drive at 8:30AM during rush hour. The likelihood of an accident is 10X more likely! More cars, more variability; more chances of a collision. In practice, larger insulin injections start working sooner, last longer, and have less predictable timing. Two weeks ago my Thursday was full of carbs and lots of insulin. The consequences of these corrections can carry into late evening, mid-night, and early morning. It’s now Friday at 6:20AM, a new day, full of clean eating, but still suffering the consequences of the foods I chose the day before. I wake up a little high (180), do my standard 2 unit dose pre (high intensity) work out and head to get my lift on! So 15 minutes into class the strength training portion of the workout was done, and we started the “WOD”. This included the assault bike, deadlifts, wall-balls & burpees. I was excited and ready. At the countdown, I started and did the the assault bike anyway. As soon as I got off I told myself I guess I need to check my blood sugars because I feel really spacey and light headed. SIGH. I was so excited for this. I ate an RX bar and sat there watching the class continue their workout for a few minutes & checked again. WHAT. I guess I am not finishing this workout. As I am sitting there, I realize yesterday was my cheat day! This meant I dosed a lot more than I typically do and even though I woke up high, I still had corrections active within my body. So that 180 wake up reading didn’t need my pre-workout dosing after all. If you encounter frequent lows or frequently fear lows during a workout, try minimizing your carb intake to allow for smaller doses. The law of small numbers: “Big inputs make big mistakes; small inputs make small mistakes,” is something I truly stand behind! Per usual, send me a direct message or email if you need tips in balancing your lows OR spikes during a workout--I would love to help! Cheers to happy (less stressful) workouts! Before I get into the details of AIP, let’s discuss inflammation! Inflammation is your body's response to stress—whether from your diet, lifestyle or environment. 1. Chronic low-grade food allergies or food sensitivities (that may cause few symptoms). Example: Do you ever feel bloated, constipated, get diarrhea or headaches post certain foods? You could likely have food sensitivities! 2. An imbalance of bacteria and fungi in your GI. Since seeing my naturopathic doctor, I have discovered TWO imbalances within my gut. One being a pretty serious bacteria, and the other being a yeast. This causes your immune system to overreact and can often be without notable symptoms. 3. Stress. Consistent psychological, emotional or physical stress raises the level of cortisol… creating inflammation. 4. Environmental toxicity from our air, water, food pollutants and toxic metals like mercury and lead all contribute to inflammation. These things add up over time! 5. Diet and lifestyle: excess sugar in your diet, refined foods, constant dehydration, excess caffeine, inactivity, and lack of sleep can all increase inflammation in your body. While there are many steps towards decreasing inflammation within your body, starting with your diet is a great first step. It's a huge commitment, but it's one that is so worth it. “The Autoimmune Protocol (AIP) removes foods considered to be gut irritants. The AIP is a stricter version of the Paleo diet, which involves the elimination of grains, legumes, dairy, and processed foods.” It focuses on a nutrient-dense foods and eliminates inflammatory/allergenic foods to support the body in cooling down the immune system. If you have Type 1 Diabetes, your body is already in a stressed state 24/7. 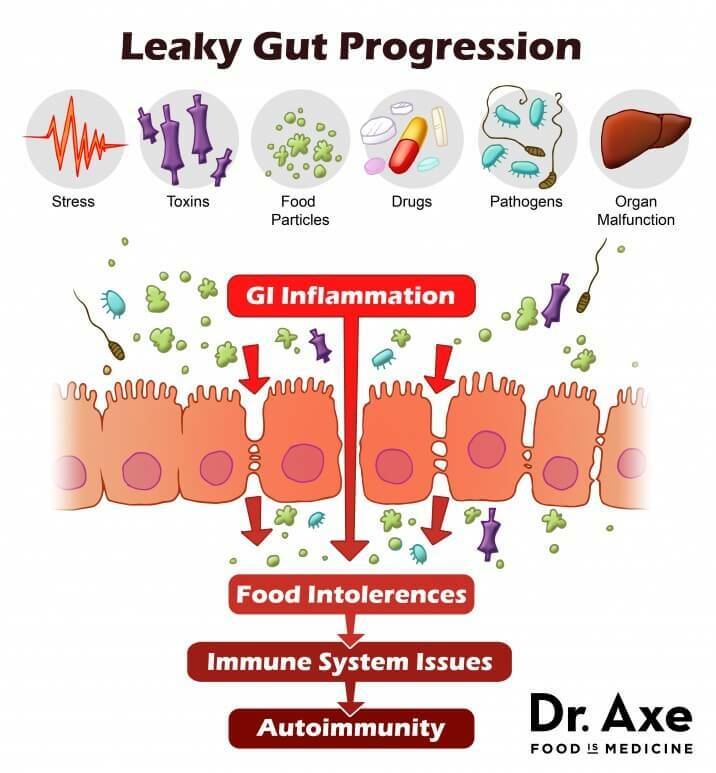 The reason why you have this disease is because of stress on the body, and while we don’t have the specifics, research studies have shown that poor gut health (increased intestinal permeability) is indeed linked to autoimmune disease(s)! 3. Decrease your chance for developing further health issues and disease. 4. Strengthen your mind & body. Do you want to start COOLING the inflammation? Nuts and seeds - all nuts and seeds including cashews, almonds, quinoa, sunflower seeds, sesame seeds, seed-based spices, chocolate, coffee, etc. Eggs - especially the white part of the egg, which contains inflammatory proteins. Nightshades - tomatoes, potatoes, peppers, tomatillos, eggplants, goji berries and several spices. Processed foods - basically anything that comes out of a package. Alcohol - alcohol effects a leaky gut. NSAIDs - Non-steroidal anti-inflammatory drugs such as Ibuprofen, aspirin, and naproxen, which cause holes to form in the gut and stomach linings. Sugar, starches, fruits, yeasts, FODMAPs - Sweet, starchy, and yeast-containing foods can contribute to imbalances in the gut by feeding unfavorable bacteria in the gut. They are best limited or restricted especially at first on the AIP. #2. Repair with specific supplements: Nutrients like fish oil, vitamin C, vitamin D, and probiotics can help calm your immune response naturally. #3. REBALANCE with probiotics. This helps replenish good bacteria and crowds out bad bacteria. Introducing your gut with beneficial bacteria will help keep bad bacteria at bay. This is CRUCIAL! My go-to is: HERE. I have done AIP for a few months now and have noticed a HUGE difference in my gut and reactivity to certain foods (not to mention I feel lighter, less bloated, and have minimized cravings). Your body will start to crave cleaner, fresher foods--I promise! It just takes time and commitment to starve the sugar build up & bad bacteria within your body. The purpose isn’t to rid of these foods forever, it’s to reset and get a closer look at foods that could be adding stress to your body (and mind) without you even knowing it. The occasional treat is A-OKAY! One personal example for me is eggs. I used to have eggs for breakfast, lunch, AND dinner some days. I was totally a “put an egg on it” gal—they are quick, filling, and so tasty! Reseting my body from them revealed that I do have a slight reactivity to them. I know, TRAGIC! But now, I never start my day with eggs anymore and have seen a vast different in how I feel/my stomach's state throughout my day. What are your thoughts? Are you willing to give AIP a try? These peanut butter cookies are such a great go-to if you're craving a sweet treat without the spike. I have used much trial & error to get the YUMMIEST texture and taste. Not only are they a dream for your blood sugars, they are super quick and easy to make. So, step away from insulin resistance, inflammation, and rollercoaster blood sugars and give these a try! 8 ounce (no sugar added) Old Fashioned Peanut Butter. 1/3 cup, Swerve Sweetener (or Monk Fruit)--You personally may need more, taste the batter as you go! 1/3 cup Psyllium Husk Powder. Combine wet ingredients, then add dry ingredients, mix well. Roll into approximately 1 1/2 inch balls. Place/press onto a foiled baking sheet, place in oven set at 350 degrees for 12-15 minutes. LET COOL COMPLETELY. Top with a pinch of sea salt, ENJOY! 1. GLORIOUS FOR BLOOD SUGAR MANAGEMENT. If you are frequently eating back to back and not allowing your body to stop digesting food, the variability in your blood sugars is going to be ever changing. While spacing your meals and snacks 3 hours apart will help keep your blood sugars normal (give your bloodstream a break from constant glucose flowing in), extended fasting will offer normal blood sugars for an extended amount of time. 2. YOU ARE BURNING THROUGH FAT. The downfall of constantly snacking, or eating various meals a day is that your body is constantly burning through glycogen instead of fat. “Glycogen stores are the first fuel source the body will turn to for energy. In general it takes between 6 to 8 hours for the body to burn through its glycogen supply. When glycogen is depleted the body will then turn to the energy stored in fat cells.” Extending the time between eating will force your body to tap into the fat you have stored in your body. You eat less: fasting generally involves consuming 30-40% less calories than usual everyday for an extended period of time. Autophagy literally means “self-eating”. When in a fasted state, your cells create membranes that hunt out scraps of dead, diseased, or worn-out cells! This process recycles molecules for energy or triggers the body to make new cell parts. —> Hello happier/healthier body! Dr. Colin Champ, a board-certified radiation oncologist and assistant professor at the University of Pittsburgh Medical Center states: ”Think of it as our body's innate recycling program. Autophagy makes us more efficient machines to get rid of faulty parts, stop cancerous growths, and stop metabolic dysfunction like obesity and diabetes.” —> Fight disease and inflammation. Increased insulin sensitivity—this is so crucial as a diabetic! Stress on the body leads to increased insulin resistance (i.e. you need more insulin to normalize blood sugars). During fasting, our cell membranes actually become more sensitive to insulin! A quick explanation of being resistant to insulin is when your “cells essentially ignore insulin as it rings the door bell trying to deliver its package of energy (glucose).” This is a primary contributing factor associated with nearly every chronic disease. Fasting, especially when combined with consistent exercise, is one of the most effective ways of normalizing insulin sensitivity. —>Respond better to your insulin. Leptin—the hormone that regulates fat storage as well as hunger signals, and ghrelin, another hormone that tells your brain the body is hungry, are also normalized by routine fasting. Fasting combined with decreased sugar/carbohydrate consumption, allows the brain to clean out its ears and properly hear leptin’s signals! A study by Michaelson et. al. in 2009 showed that therapeutic fasting alleviates depression symptoms and improves anxiety scores in 80% of chronic pain patients after just a few days…other research has found that fasting boosts the levels of available serotonin in the brain. We are bombarded with countless foods and snacks that trigger inflammation, erratic blood sugars, and insulin spikes. These choices greatly affect our mood because of the internal stress our body is taking on day after day! 1. As a Type 1 diabetic, and managing your blood sugars (i.e. acting like an ACTUAL pancreas 24/7), you must be mindful in this process. If your basal insulin is incorrect, you could discover more frequent high OR low blood sugars. (A 24 hour fast is actually recommended by Dr. Schiener to determine/master your dosing). 2. If you are chronically stressed or dealing with irregular cortisol levels, consider other options before fasting. If your body is already in a stressed state, causing a new stressor (fasting) is not ideal. 3. You are not already practicing wise food choices. Working on cleaning up your diet, i.e. limiting sugary foods and grains while increasing fat and protein, should probably come first! What do you think? Are you intrigued practice a little self-cannibalism? Think Like a Pancreas: Chapter 9, Your "Going to Extremes" Cheat Guide! You worked out, you ate a glorious breakfast, and in the midst of trying to calculate the many factors that affect your blood sugar, (your workout, your Lantus, your hormones, your stress, what you ate yesterday, the fiber, fat, sugar, carb, g.i. content of your meal, etc.) you calculated wrong—it happens. While the results of mis-dosing are obvious (going high or low), it’s important to know the risks and realities of what’s occurring within your body…. or what could occur. You took too much insulin = low blood sugar (hypoglycemia). Mild forms are easily self-treated (by a rapid acting snack, or lowering dosing), but severe cases may lead to loss of consciousness, seizures, coma, or death. You took too little insulin = high blood sugar (hyperglycemia). This is treated with correction insulin in most cases, but if it’s severe enough, your body could enter DKA (diabetic ketoacidosis), which is a life threatening condition. Low blood sugar affects virtually all systems of the body—but mostly the brain. Repeated or prolonged bouts of low blood sugars have the potential to cause permanent mental impairment. I.e. Don’t take it lightly! Mild Lows—Symptoms generally occur around 70, but they can also occur from a rapid drop from very high towards a more normal level. Adrenaline triggers: rapid heartbeat, sweating, shaking, hunger, and anxiousness. Moderate Lows—50’s or 40s the brain begins to lose the ability to function. It’s traditionally accompanied by dizziness, weakness, & slurred speech. Severe Lows—An extreme or extended sugar drop can cause you to pass out or seizure. Very severe can cause coma or death. Oh…. the joys of Type 1 [insert indifferent face here]. In a gist, this means your symptoms do not evolve… they breakdown, devolve over time. Also known as “hypoglycemia unawareness”. The more lows that you have, the less likely you are to experience the warning signs (symptoms) the next time. Your body essentially adapts! All carbs aren’t created equal. Some will raise your blood sugar quickly, others not so much. Chocolate, ice cream, whole fruit, milk, are not the best choices for treating lows—I think this statement depends on how low you are of course (if you are 40, no, if you are 60, I think it’s fine). Higher GI go-to’s like juice, cereal, bread, and dextrose-containing foods will raise your sugars quicker. Be mindful of over-treating (despite feeling like you want to eat the entire house). Be patient. If you over-eat, be sure to give yourself a few units to cover the excess carbs and avoid a spike. If you are on low doses (less than 5 units per injection) look for pens that offer half-unit markings. This will allow for fine-tuning and more precise dosing. Calculate mindfully—a single incorrect calculation can send your blood sugar spiraling downward…I know, easier said then done--numbers are not my thing. Give your insulin time to work! Rapid acting insulin typically takes 3-5 hours to finish working. Be mindful of active insulin within your body before injecting to correct a high. This will help reduce lows! Calculating your dose for your current meal should be based on the blood sugar 3-4 hours after your last meal. Stacking your doses and eating back to back will increase the likelihood of lows. Low glycemic foods and high glycemic foods will raise your blood sugars at different rates. Considering the fat, fiber, protein, carb, sugar, content is really important when calculating and timing your dosing. Always subtract fiber from total carbohydrate before calculating. Muscles cells uptake of glucose is increased with and type of activity. Reduction in basal and bolus is typically necessary for prolonged/strenuous activity. Following all exercise, you should make adjustment to prevent a delayed blood sugar drop. Alcohol can cause a delayed drop in blood sugar by suppressing the liver’s secretion of glucose. Extra snacks, lowering basal, and decreasing your meal-time dose is something to consider based on the amount consumed. How often are you checking your blood sugar? Obviously you don’t want to be too obsessive but frequent blood sugar checks will help you monitor trends and GI of foods you would otherwise not realize spiked you so quickly! While not necessary, a CGM is a great way to get a picture of trends and high’s and low’s you could be unaware of. The less control you have, opting for a CGM may be just what you need to better your management of blood sugar levels. Alerting you for lows, or even anticipated lows is a great tool to reduce risky/life threatening lows! ……..Stay tuned for next week! Heavy Exercise—Also known as Delayed Onset Hypoglycemia can occur several hours after a high-intensity workout. This typically occurs 6-12 hours after a workout but can take place up to 24-48 hours later. How? Heavy exercise makes your cells sensitive to insulin and depletes glycogen (sugar energy stores) in the muscle and liver. Weight loss—Losing as little as five pounds can affect your insulin needs and enhance your insulin sensitivity. Aging—With advanced age comes reduction in hormones that would typically require more insulin—be prepared to reduce basal insulin after age 60. Brain Work—Brain cells rely almost exclusively on glucose for energy. Whenever yourbrain is working hard…blood sugar levels may drop! Hosting a party, networking, studying, new surroundings all affect mental stimulation levels which can induce a blood sugar drop. Who knew? Climate—Warm temperatures caused by heightened energy expenditure by the circulatory and respiratory systems. Sometimes basal and bolus insulin doses may need to be changed with seasons. High altitude— Being at higher altitudes causes your metabolism (heart rate) to increase in order to deliver enough oxygen to the body’s cells. If your body is working extra hard to supply oxygen to your muscles… dosage reduction may be necessary. Nausea—If you have an upset stomach after a meal, you are susceptible to hypoglycemia. When food sits (undigested) or is later vomited the risk of low blood sugar is likely because it had yet to reach your blood stream. If nausea is something that is predictable (pregnancy or chemo), consider blousing an hour or two after eating after you are sure the food stays down. Medications—Some meds, including anti-depressants, nicotine patches, and antibacterial agents can reduce blood sugars. If you are adding any new med to your day-to-day regimen, be sure to speak with your doctor and do your research for possible dosing adjustments! Alcohol—Sugary, carb dense beverages (beer, dessert wine, hard lemonade) will raise blood sugars for the short term. BUT, alcohol has a tendency to lower blood sugars several hours later by keeping the liver from secreting its normal amount of glucose into the bloodstream. Making bolus (and sometimes basal) adjustments to offset the risk of the low is important! Impaired digestion—Gastroparersis is a form of diabetes neuropathy which the stomach is slow to empty to the intestines. This = the likelihood of high blood sugars several hours later. Apart from medical treatment and diet medications ( to facilitate the movement of food), delaying mealtime bolus 30-60 minutes after the meal could be helpful! Menstruation—Before your period typically raises blood sugars and during (a day or two after) they tend to drop. Trying noting the onset of you period and look for patterns of consistent highs or lows. Increasing basal several days prior your period starting, could be helpful in keeping your levels happy. Decreasing basal for the first 24 hours after the onset of your cycle may be helpful to reduce lows! Travel—Due to change (meal time, activity, schedule) your blood sugars may vary quite a bit! The stress of travel, extra walking, and mental stimulation can each trigger an overall drop in blood sugars. Irregular Sleep—lack of sleep can increase stress hormone which can increase blood sugars.If you are sleeping less than 6 hours per night, increasing bolus may be necessary. Conversely, if you are forced to work late into the night (when you would typically be sleeping) you may need to reduce your basal. The more consistent and regular your sleep schedule the better normalcy in your blood sugars. Menopause—Because estrogen makes the body more sensitive to insulin, blood sugar control during this time can become more challenging. While changes are in order, be mindful of watching patterns over a few consecutive days versus making abrupt changes. Pregnancy—Your needs and adjustments(basal and bolus) are ever-changing in each trimester. See the below graph the insulin requirements and visit here for a great resource! Sports & Exercise—Higher intensity (weight lifting), intermittent bursts of activity (tabata), sprints (running) can each produce short term blood sugar rise. But as mentioned earlier, these same activities can produce blood sugar drop several hours after— reducing meal time insulin dose is likely needed! Chapter 8, Welcome to the Real World (Part I). Anxiety/Stress—Have a big test coming up? Trying to land your dream job at your next interview? To offset the stress hormones produced in anticipation of the event, consider raising your basal or injecting 1-2 units prior to these events. Be mindful of checking your sugar a little more around these events to help with better control as well. Disease Progression—Upon initial diagnosis of Type 1, most go through a honeymoon phase, i.e. the pancreas is still able to produce a small amount of insulin. As time goes on, the pancreas loses the ability to secret sufficient amount of bolus insulin. If you have been newly diagnosed, keep this in mind if your blood sugars become more erratic. Protein— Protein does effect blood sugars. Roughly 50% of protein can be converted to glucose if there is not other source of sugar in the meal. How? “When you eat carbs, protein is used for purposed other than supplying blood sugar, such as bodily growth, repair, and creating hormones and enzymes, but without carbs protein becomes of source of glucose for nourishing the body’s cells.” Interesting huh!? Example: If you have zero carbs at a meal (think, turkey burgers or just a steak), count the protein grams, and dose 1/2 that amount as if it were a carb. Fats—Fat can cause blood sugar levels to rise for up to 10 hours or more! While there is no specific amount of fat that causes a delayed blood sugar rise, having more than 20grams certainly increases the likelihood that a delay will occur. Pizza, beef, cheese, dessert items, fast food, and most restaurant foods are commonly high fat content meals. Growth and Weight Gain— When growth and and weight gain occur, insulin needs will rise as well. Example: (1) As a young person’s body changes, insulin needs will increase because of the excess production of hormones. (2) Or, any extra weight that you put on will also directly affect your insulin needs because fat cells secrete hormones that cause insulin resistance. Illness and Infection— Infections trigger stress hormones which drive up blood sugars and make insulin less effective. You will likely need to increase your long acting insulin to minimize elevated blood sugars. Couch Potato Syndrome— Sitting extended amounts of time when you are normally active can trigger a gradual rise in blood sugar. Withdrawing activity results in less glucose burning so keep this in mind the next time you have a long flight, meeting, test, etc. ahead of you! Tip: Prior to traveling I try to get a good workout in! This helps boost my metabolism and fat burning state for the day even if I will be sitting for an extended amount of time. Somogyi Phenomenon Rebound— Elevated morning blood sugars doesn’t always mean you need more insulin, it could mean that you dropped (low) and rebounded (high) because of adrenaline (triggered from the low) kicking in. It’s crucial to monitor your blood sugars mid-night to ensure that your blood sugars aren’t dropping while you sleep! Weird dreams, feeling hung over, night sweats, cold body temp are a few symptoms of mid-night lows. Steroids— Steroidal meds create significant insulin resistance and will raise blood sugar levels—including inhalers and even topical creams! Depending on how long you will need them, adjusting insulin dose will be necessary until the steroids are fully out of your body. Medications—Beta blockers, estrogen, testosterone, cold/flu meds, and even thyroid medication can directly cause increased blood sugar levels. The insulin adjustment generally comes into play when you are introducing a new medication that the body is typically not used to. I.e. if you have been on something for a while, the likelihood of needing to adjust now is unlikely. Surgery— All medical procedures (big and small) cause stress on the body (mental and physical). Generally extra basal insulin will be necessary to offset the stress prior-to and during the procedure. All of these "factors" can seem very daunting.... I know. The more I learn about what effects blood my sugars the more demanding this disease seems to be. And while this may be the reality, the more I (you) learn, the better we can relieve some of the burden that comes with it! Next week we will continue on with the highlights from Chapter 8 and factors that can lower your blood sugars.